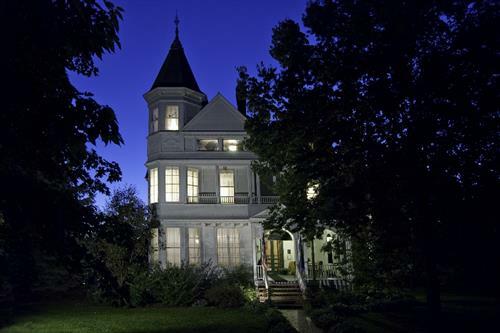 Described as the ''Grand Dame'' of Queen Anne houses in the St. Croix Valley, the Phipps Inn is a luxurious 1884 Victorian mansion nestled in the charming setting of Hudson's historic Third Street. Whether you are in pursuit of business or pleasure, or just desire a romantic weekend away, the Phipps Inn is your ideal retreat. We offer a formal music room, billiards room, two parlors, front and side porches, elegant dining room, and six luxurious suites. Each of the guestrooms is spacious and quiet. 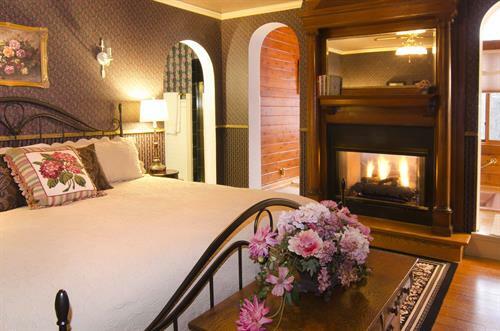 All rooms have private baths, double whirlpools, fireplaces and walk-in showers. Both the main floor and the third floor parlors are yours in which to read and relax. 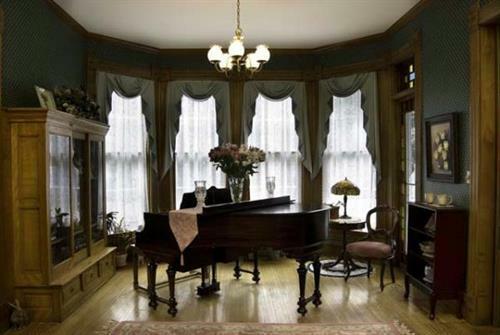 The Music room boasts a Cable Crownstay grand piano. Guests may also enjoy a game of pool in the adjoining billiards room. Seven days a week our gourmet 4-course breakfast is served in either the formal dining room or in the privacy of your guest room. Either way, the presentation is enhanced by beautiful china and crystal. The menu varies each day and always includes fruits, homemade pastries and desserts to accompany the delectable main course. A two night stay is never a requirement however is always recommended! Hudson's many fine restaurants and interesting shops are well worth your time to savor and explore. And a walk along the St. Croix River can be lovely in any season. You can check room availability on our web site or just give us a call. 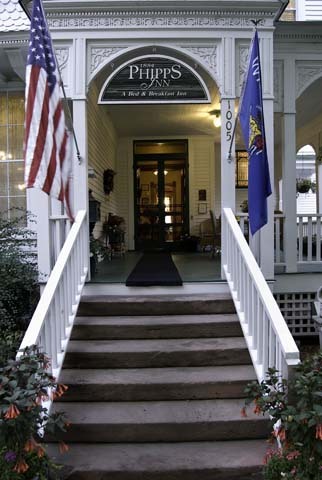 We'd love to have you stay at the Phipps Inn! Come to Hudson for the river, the restaurants and relaxation! Walk through the historic district to downtown shops. Four course gourmet breakfast served every morning. Every room has a whirlpool tub, fireplace and private bath. High speed Internet access in guest rooms.